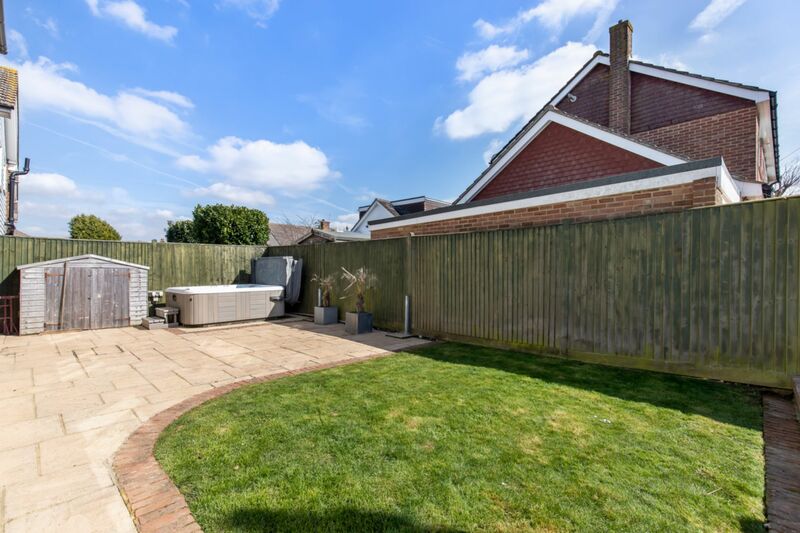 Motis Estates are extremely proud to offer this beautifully presented 4 bedroom detached house in the quiet village location of Densole, Kent. 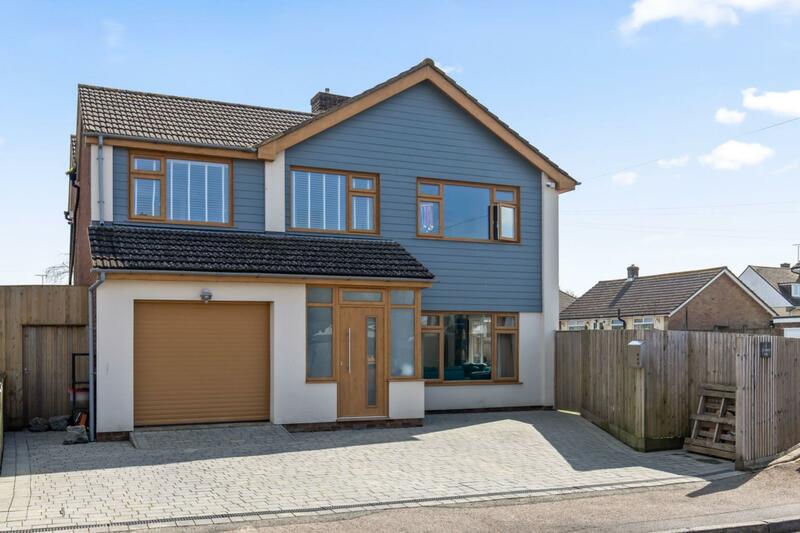 The front of the property shows a newly finished driveway with parking for three cars and a garage. 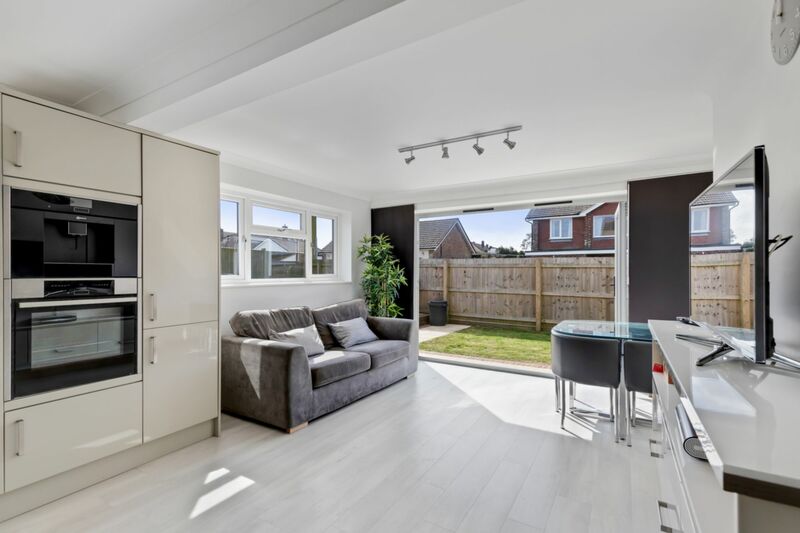 The garage is ideal for storage purposes, with an enclosed sheltered side access perfect for further storage. 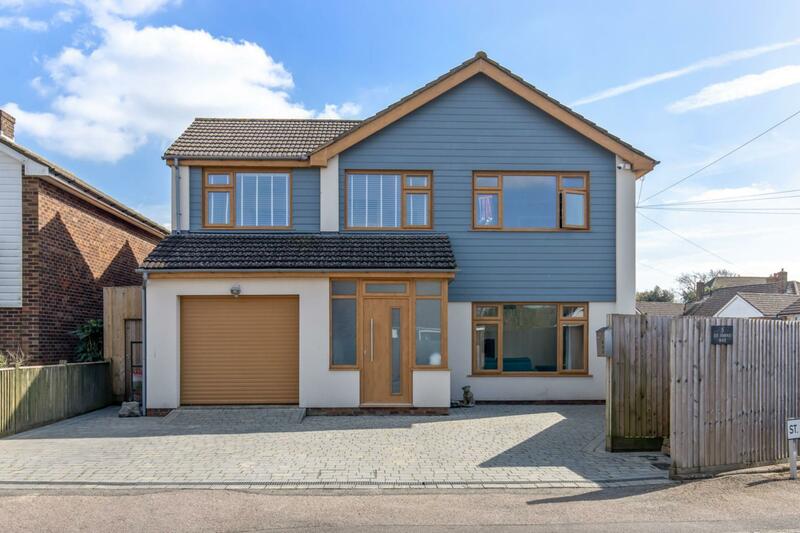 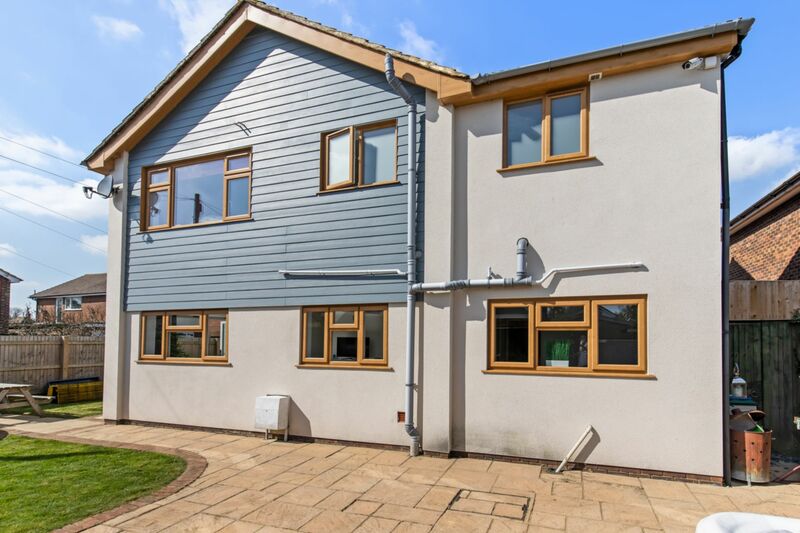 The house also comes with new monocouche render as a decorative finish with newly fitted grey cladding and pine finished windows, front door and facias/soffits. 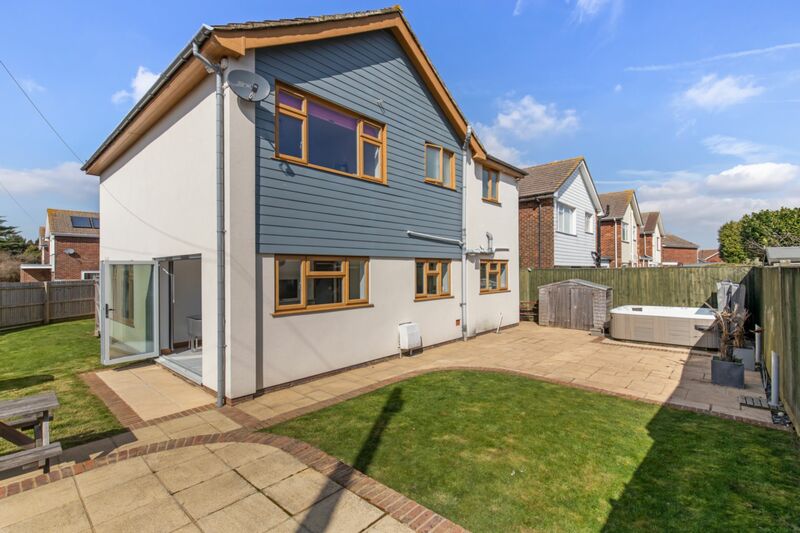 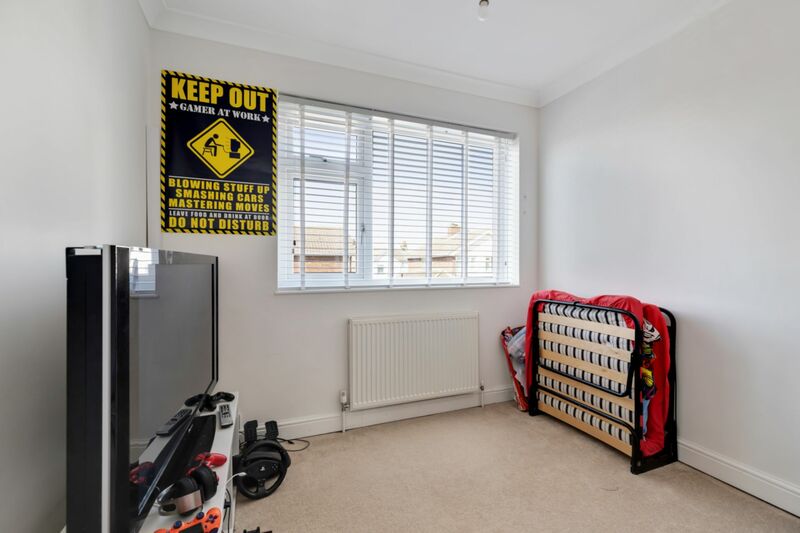 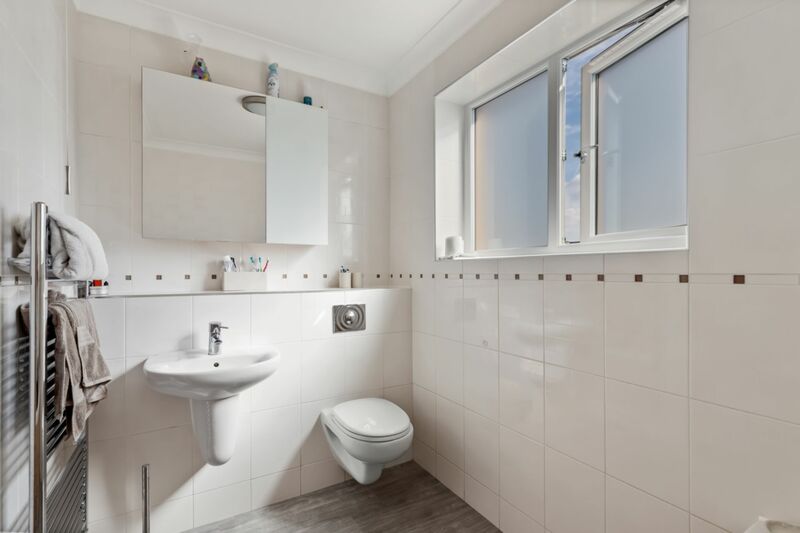 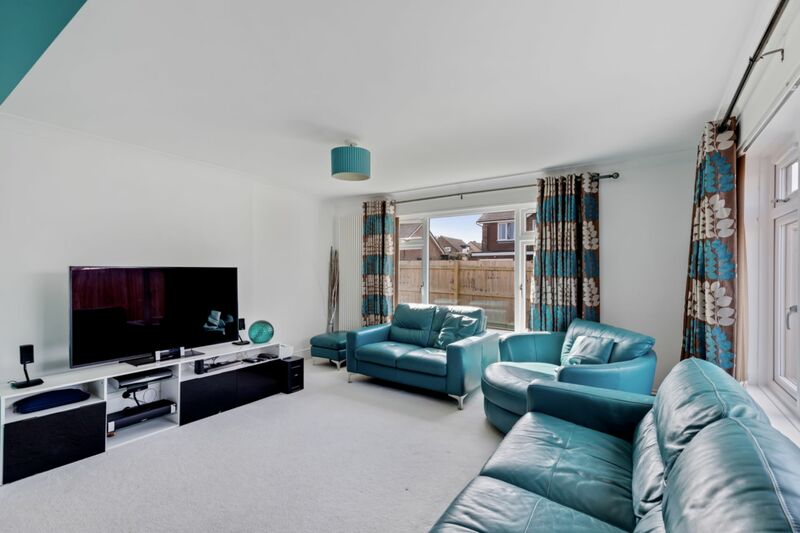 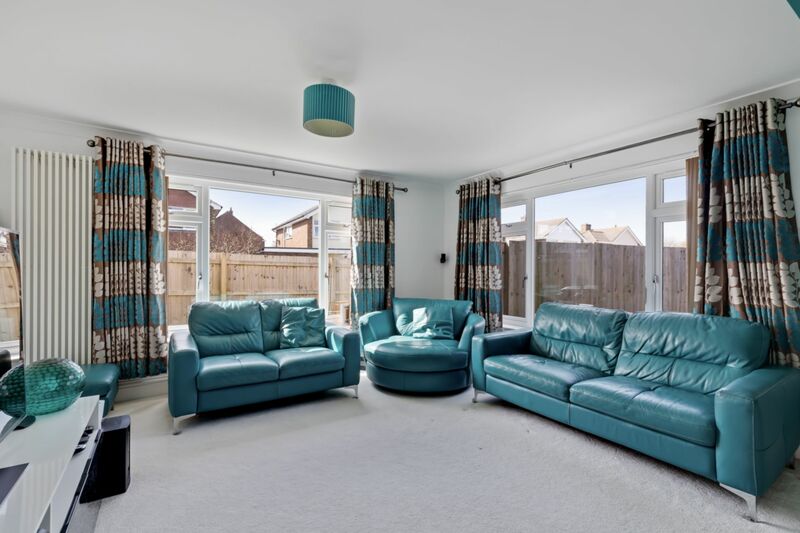 There is an entrance porch situated at the front of the property, leading into the entrance hall and into a great sized living room, with double aspected front facing windows. 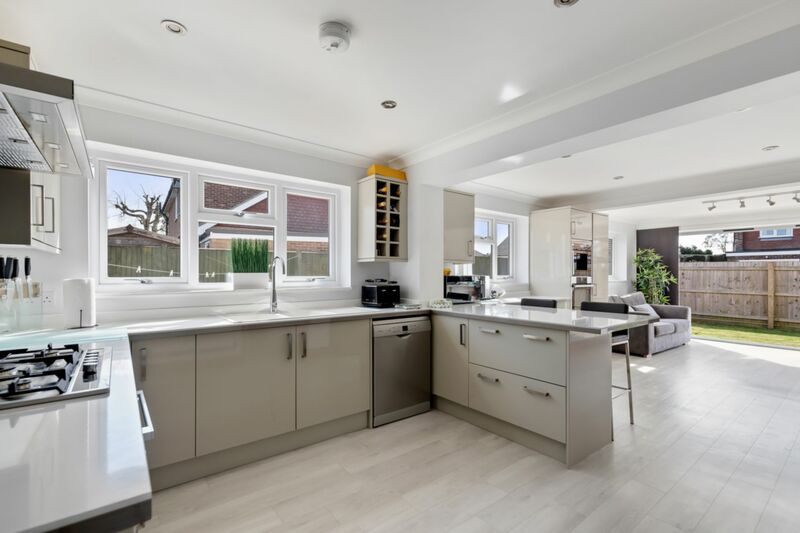 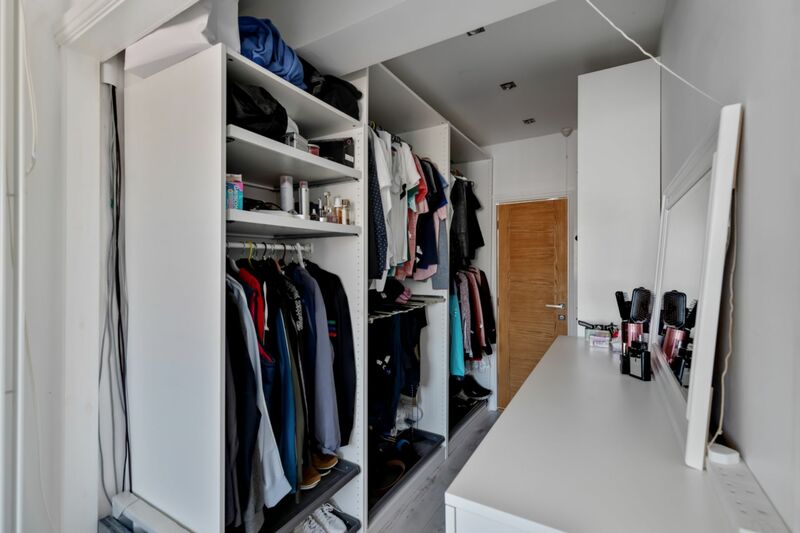 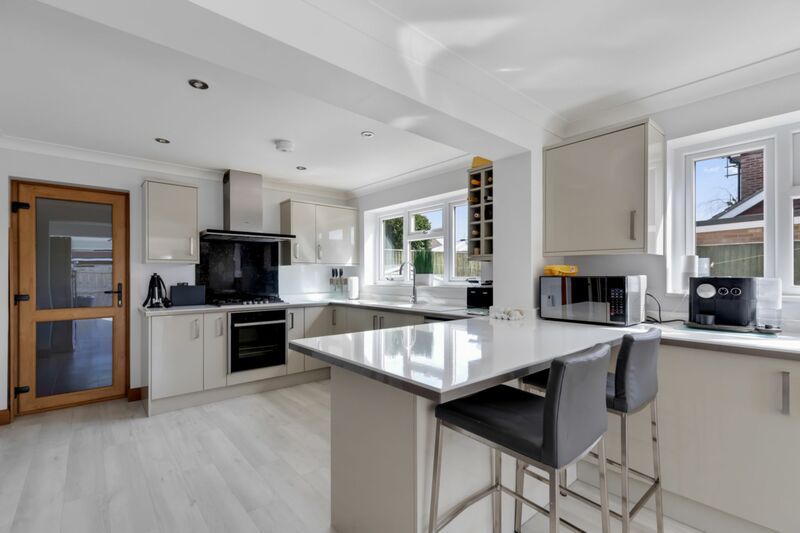 The home itself is finished to an extremely high standard, with modern fixtures and fittings throughout. 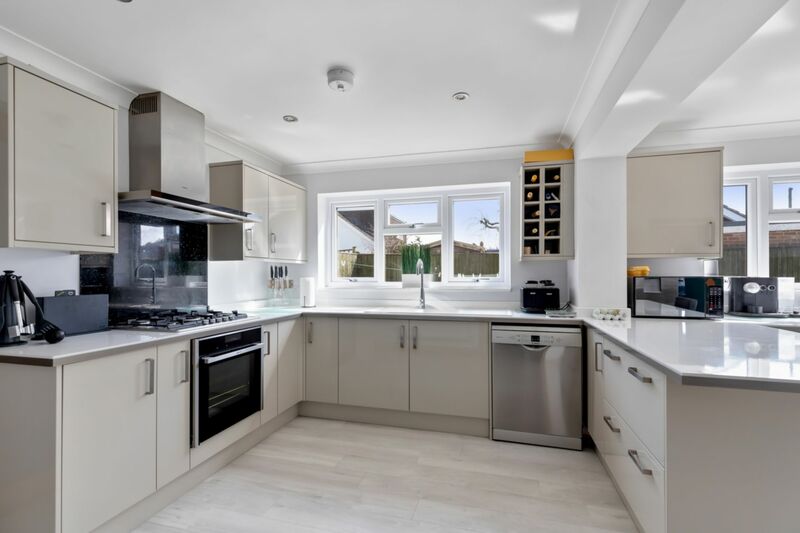 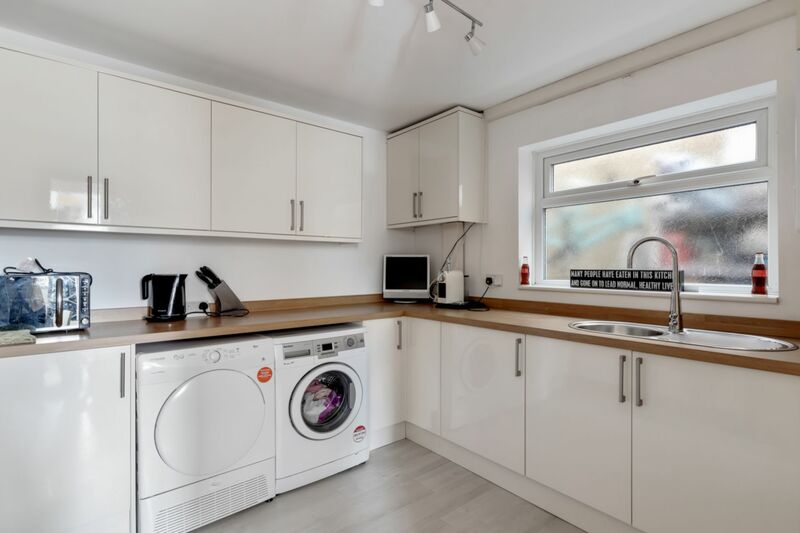 The ground floor situates the kitchen, which is fully fitted, complete with intergrated NEFF cooker, coffee machine and applicances... it even includes a NEFF pizza oven! 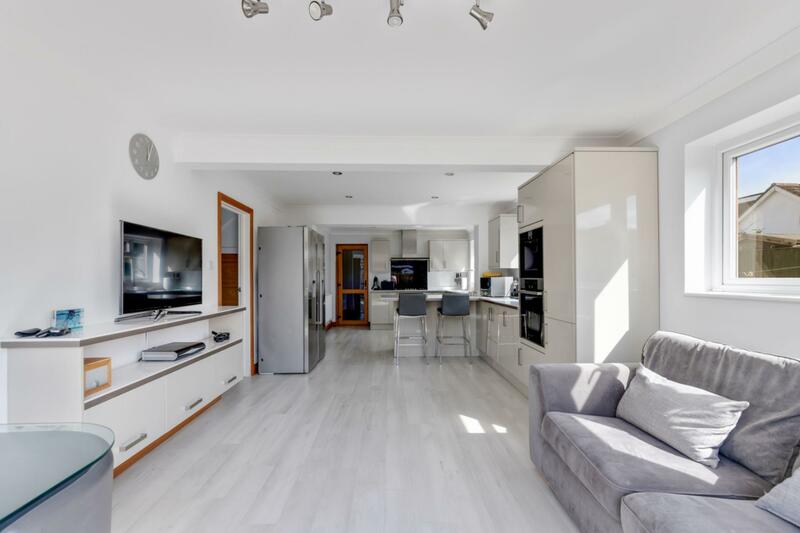 The american style fridge/freezer is available in the sale through seperate negotiation. 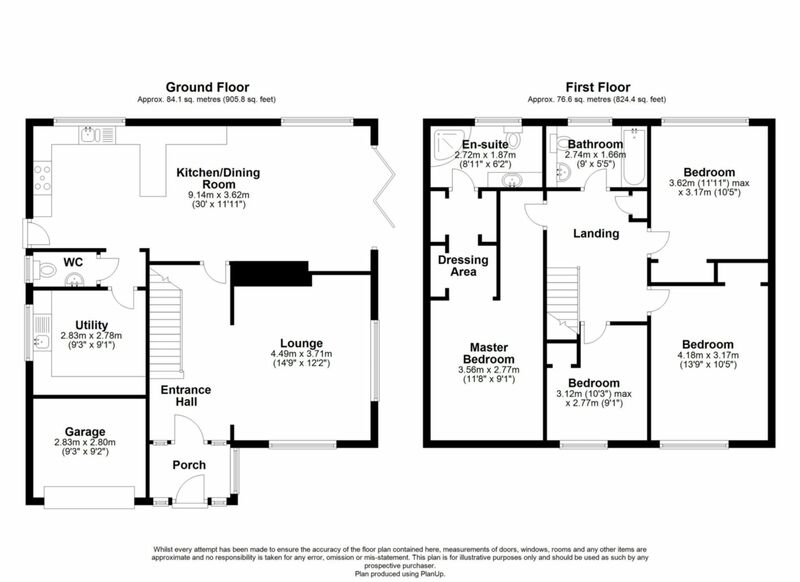 There is also a utlility room adjacent to the kitchen, and a downstairs W/C for convenience. 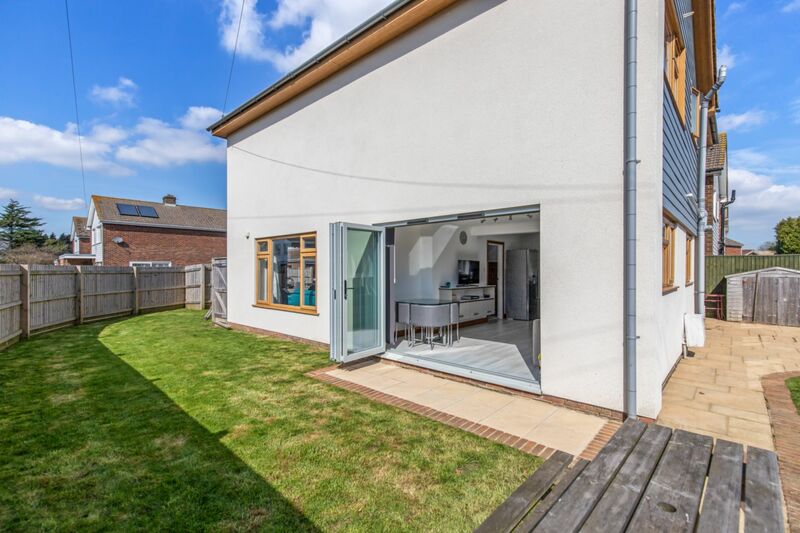 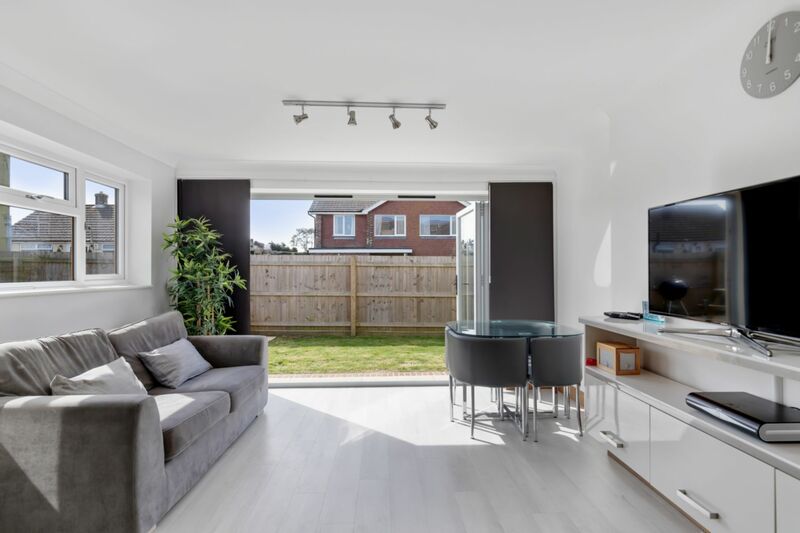 The rear of the house which includes the kitchen and dining room is the hub of the house and perfect as an entertaining and social space, the dining room benefits from bi-fold doors with fitted blinds leading to the patio area to the side of the house. 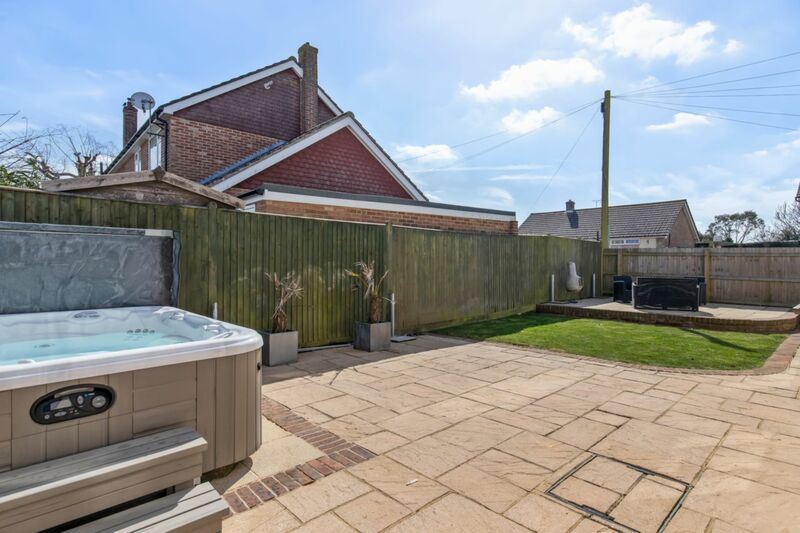 The garden features a laid patio, with a turfed area for the children and a hot tub PERFECT for those summer evenings! 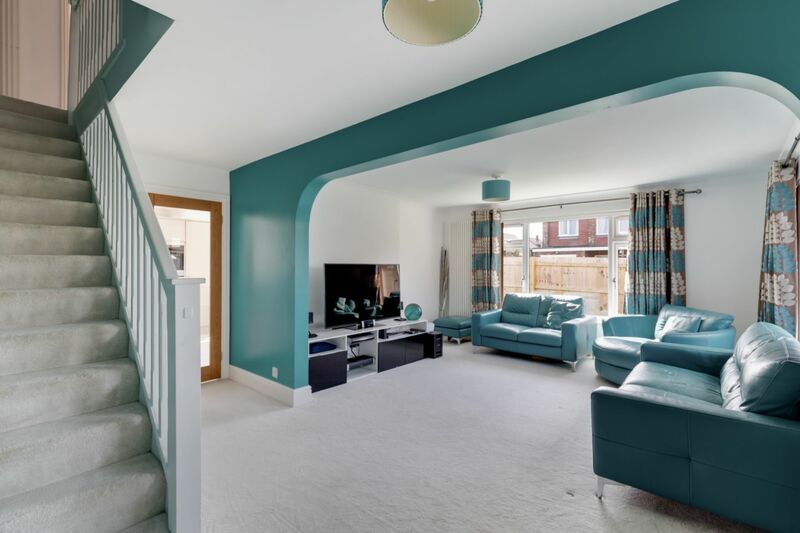 As you walk upstairs, you are greated with a spacious landing space leading off to the four bedrooms and family bathroom. 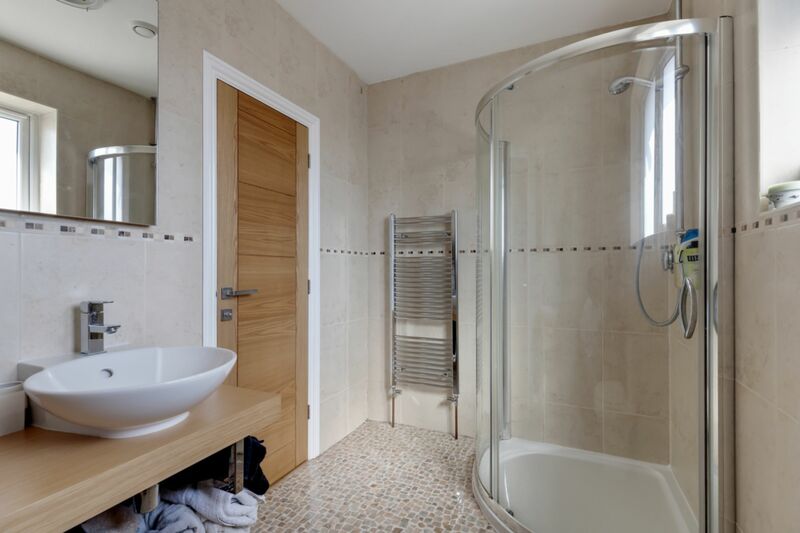 The master bedroom benefits from a dressing area, leading into an en-suite with shower, basin and toilet. 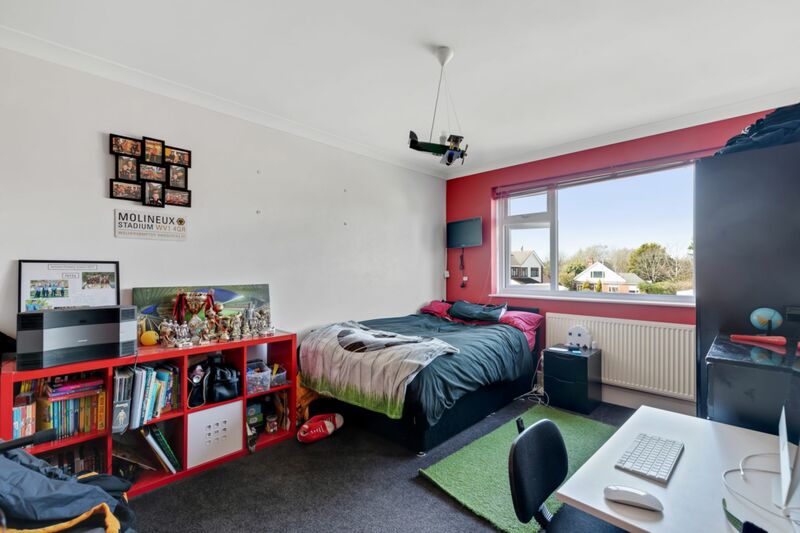 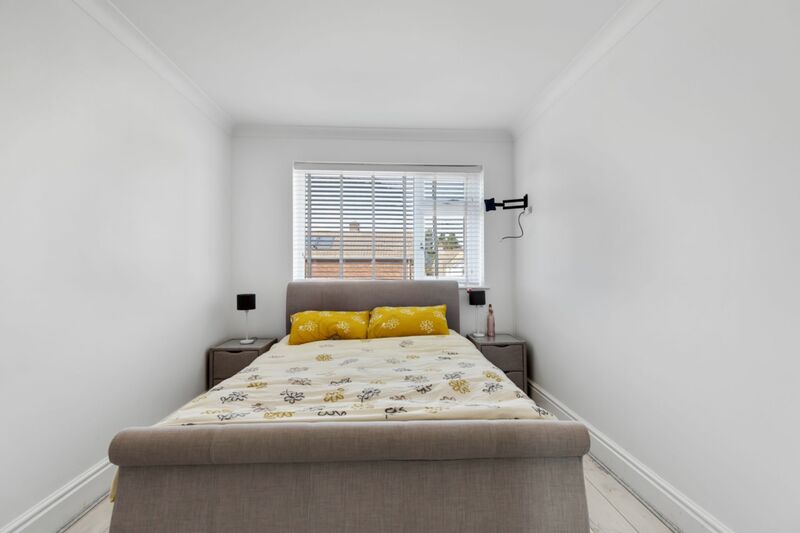 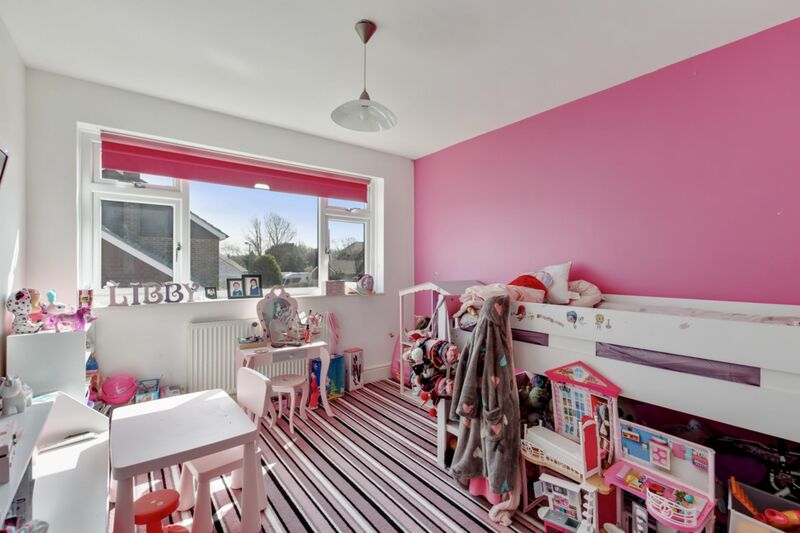 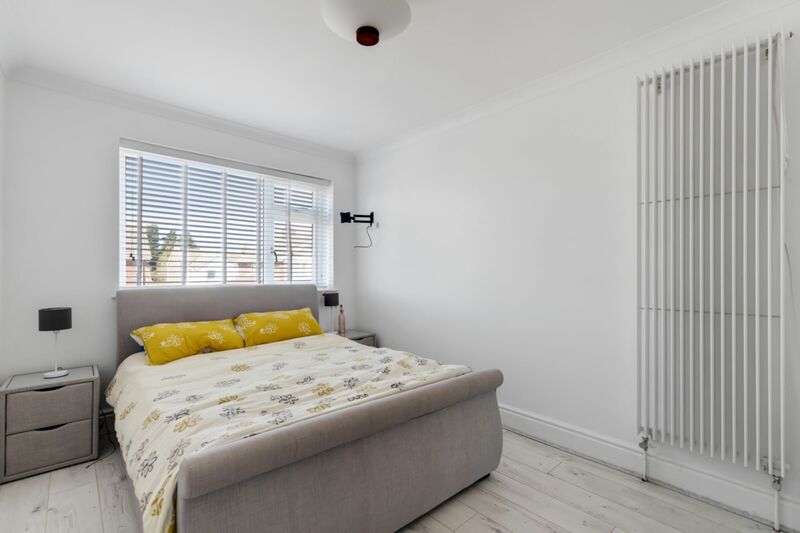 The two other bedrooms are generously sized, with the fourth bedroom being a large single. 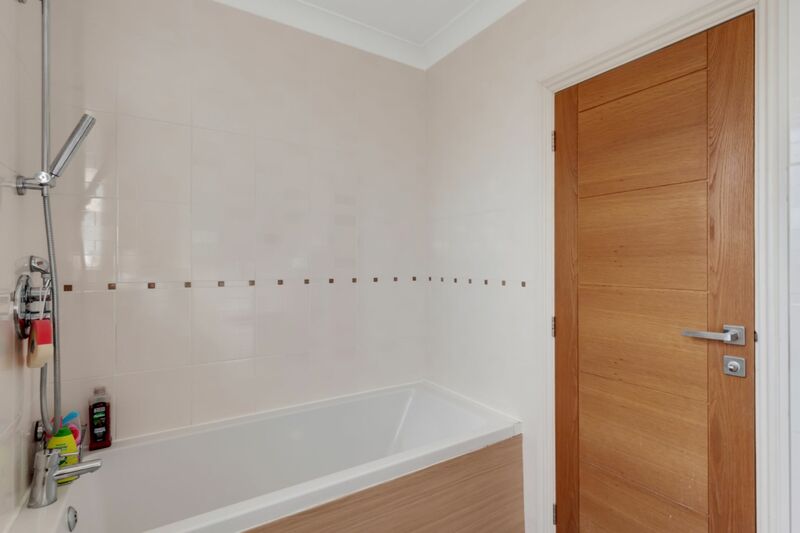 The family bathroom is of a good size, with pine finished bath panel and floor to ceiling tiles. 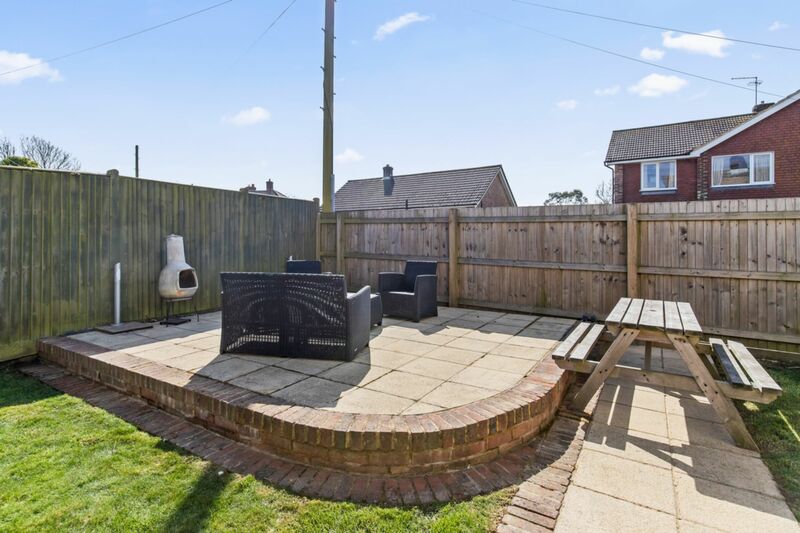 Densole is a quiet village location, with good connections to Folkestone and Canterbury.